Forward Times had the privilege of talking exclusively with Osborne about his highly anticipated new album, his music being sampled in hip-hop, the Jeffrey Osborne Foundation, Osborne’s new vegan lifestyle and its effect on his health and vocal stamina, and his national tour in support of the new album, which will stop in Houston, TX on Friday, April 20 at the Arena Theatre. Chelsea Lenora White: Let’s talk about the album, “Worth It All” which debuts May 25th. How did the name “Worth It All” come about? CLW: What can we expect from the new album, stylistically? 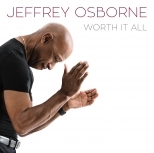 Osborne: It’s interesting because when I first talked to Mack Avenue [Records] about doing a record, we were talking about doing a smooth jazz record; seeing that they’re basically a smooth jazz label. So I signed under the intention of doing a smooth jazz record and as I started writing, I realized that it wasn’t going in that area. So I called them and asked, “How would you feel about me going back to my roots and doing an old school R&B record?” And they thought that it would be incredible. I wanted to go back to where I started, back to the L.T.D. days and my early solo albums. That’s basically what the record is. I say that the record is for grown folks. At this point in my career, I didn’t want to try to do anything that sounds like today’s youth. So I figured that the best thing for me to do was to go back and do what I do best; and that’s old school R&B. CLW: Your music transcends across all generations. I know that a lot of artists sample your music, like Rick Ross to name just one. How do you feel about your music being sampled by newer artists, and specifically hip-hop artists? Osborne: I think it’s an honor. It’s like paying respect. Any time I hear young people sampling any of the veteran artists’ music, I think that it’s a sign of respect and honor. The music inspired them to do what they do and it’s amazing because what they do on top of something that I’ve recorded is totally different than what I would do. So it’s amazing what my tracks inspire out of them and the way that it motivates them to come up with what they come up with. I love it when people do that. CLW: You just kicked off the first show of your tour in Brooks, California for the new album. How amazing was it to perform the songs that we all know and love, as well as introduce the new music to fans? Osborne: Well, I didn’t do any of the new music. I’m waiting because I want people to hear it first. I’m real old-school. I’ve gone to shows where artists have had so many hit songs and people were so into the songs that they’ve come to hear and then they introduce a song that they haven’t heard and it kind of kills the momentum of the show to me. So I tend to wait until people have heard the album, although my band is now rehearsing some of the new material. I’m reluctant to play it until radio plays it. Once radio plays it, I will feel more comfortable. I think that people can then connect to it. I will have advance copies of the new album that I will take to the show in Houston. We felt like it would be nice to give the fans that come out some advance copies and receive their feedback. CLW: Your voice is absolutely golden. What do you do to maintain your vocal health on these demanding tour runs? Osborne: I believe in getting up and exercising. I work out 4-5 days a week. I just try to keep my body in good shape and in turn, that makes me feel good as a singer. It opens me up. There are a lot of little things that I do, that I call vocal hygiene. After a show, I’ll steam. Steaming is healthy and takes the inflammation out and I’ll gargle with some goldenseal, which is one of the best herbs in the kingdom. It’s nasty but it works. You just have to take care of yourself. I’m blessed that I am able to still go out and do shows and that my voice sounds pretty much the same. I changed my diet completely nine months ago and now I’m vegan. I think the first month was the hardest month when I first got into it. The hardest thing for me to stop eating was seafood because I grew up in Providence, Rhode Island, right on the water. I loved seafood. I loved everything out of the ocean. But now I have no craving for anything. I’ve cut out all meat, fish, and dairy. It’s just strictly a plant-based diet and I feel better than I have ever felt. My mantra now is, “Don’t live to eat; eat to live.” We have to turn our minds around to accept that. 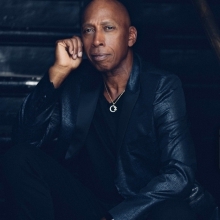 CLW: Switching gears here, tell us more about the Jeffrey Osborne Foundation and what it does for children and the arts. Osborne: We’re in our eighth year now and I started the Foundation in my hometown of Providence, Rhode Island. I started it with the Jeffrey Osborne Golf Tournament and trying to get it off of the ground was interesting. Magic Johnson, who is a good friend of mine, actually hosted it for me and from that point on, it was just home runs from there. Magic [Johnson] hosts it every year and I have people like Smokey Robinson, the O’Jays, Eddie Levert, Johnny Gill, Bell Biv Devoe and Earth Wind & Fire who come every year. Those are just some of the entertainers that come. Then you have Dr. Jay, Cedric the Entertainer, George Lopez, Chris Tucker, Sugar Ray Leonard who come out. It’s an amazing tournament. I give back to six charities in Rhode Island. I see these tournaments where people give back to like 25 charities and they all get about $1,000 apiece and it’s not a very significant amount to me. So I keep it at six and I try to give them each a really nice, healthy check each year. I donate to the Boys & Girls Club; the Rhode Island Philharmonic Orchestra and together, we put music back into the public school system. I have another organization that I donate to, St. Mary’s Home for Children, and they provide care and treatment for abused children. Then I donate to an alternative high school, called The MET where kids can go and actually take classes that are going to specifically help them with their career of choice after they graduate. I also donate to a place called the Amos House which feeds the homeless and also helps them to rebuild their lives. They find jobs for them and teach them culinary arts and it’s just an amazing community organization and safe haven. I also support a little nine hole golf course and it’s the only golf course in Providence. They go to schools during recess and teach kids about golf; not just the sport but the social game. It is a proven fact that you can gain so much from the game of golf. I’ve donated over $1 million to charities and that all comes from the game of golf. CLW: Houston is so excited to have you here on April 20th on that revolving stage at the Arena Theater. You’ve been commanding stages for quite some time. Do you ever get used to the fans’ excitement and energy, singing your songs word-for-word? Osborne: That is what truly keeps me going. That’s the most exciting part about what I do, for me. The studio can be cold. It’s just me in the studio with an engineer but live performance is where you actually get that feedback and the chemistry happens between you and the audience. You give it and they give it back. That is what I feel that I live for. The toughest part is the traveling but that hour and a half to two hours on stage makes it all worthwhile.